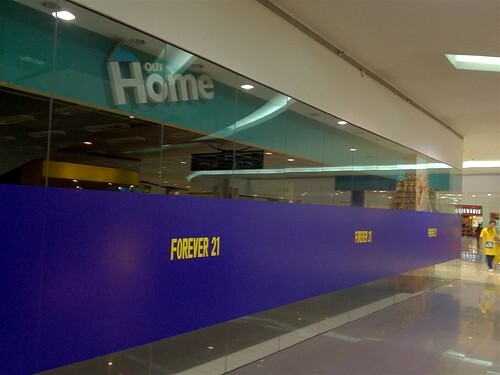 EDIT [as of 04/20/2012]: Forever 21 SM North EDSA The Block is NOW OPEN! So I have a lot of girlfriends (friend na girls) who are talking about Forever 21 when it comes to clothing. When I went to Forever 21 SM Makati, I realized they have a men’s line too and I must admit their collection is really fashionable. Currently, it’s either you go to their SM Makati or Megamall branch (also a Cebu branch). Our Home store will move to the Interior Zone of SM North EDSA. And yes, Forever 21 will be coming to the North soon and I just can’t wait to shop (akala mo maraming pera e no)!